A letter written by Leigh R. Webber from Trenton, Tennessee, likely addressed to a member of the John Stillman Brown family. Webber describes a "jayhawking trip" his regiment took to take goods and food from a local Confederate family. He discusses the treatment of slaves and escaped slaves, both by Confederate locals and his fellow Union troops. 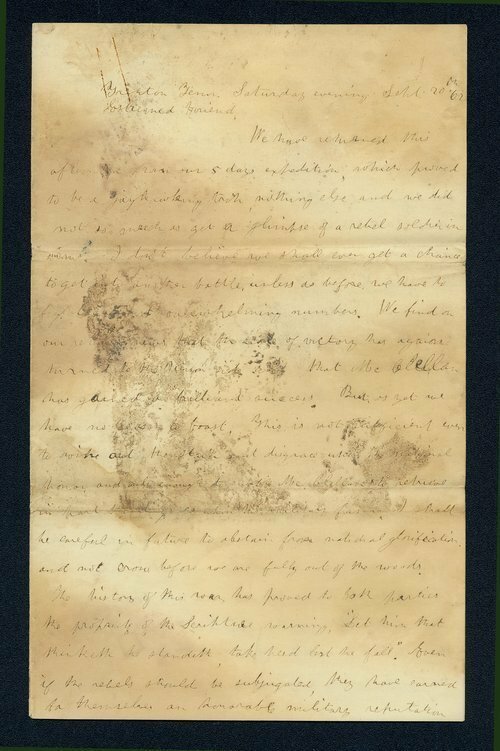 A portion of the letter states Webber's opinions on James H. Lane's efforts to arm African-American troops in Kansas.